Journyx now allows users of Microsoft Project to sync project time data to an accounting or Enterprise Resource Planning system for better project accounting. AUSTIN, TEXAS (January 29, 2018) – Journyx today proudly announces the release of Projectlink 11, a tool that allows users to sync time data between both Microsoft Project® and their accounting or Enterprise Resource Planning (ERP) system for easier, more efficient project accounting and budgeting. 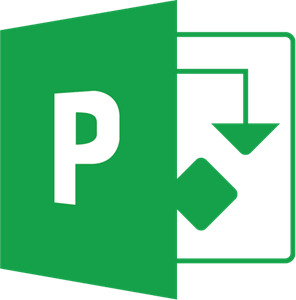 The Journyx Projectlink tool, first introduced in 2002, integrates Journyx with Microsoft Project® so users can track project actuals in one place, as well as manage project assignments and allocations. Previously, projects would exist in two different systems – Project™ for scheduling and management, and the ERP platform for accounting. The project data could not be synced between Project™ and the ERP system, or vice versa – inevitably causing users to enter data into both systems, or requiring someone to manually transfer data from one system to the other. Projectlink 11 eliminates this problem by standing between the ERP platform and Project™ and providing one place to track project time, which is automatically synced to both places and rolls up into the right projects. According to Meredith Zachritz, Director of Product Management at Journyx, the evolution of project accounting needs spurred the development of Projectlink 11. “As project accounting has matured and increased automation through software has become possible, companies are looking for ways to coordinate the financial side of project accounting with the more detailed planning and tracking required for project management,” said Zachritz. “It’s not an easy problem to solve if you want to allow each group the ability to handle data in their own way. As the first web-based time tracking solution introduced in 1996, Journyx was created to solve a problem CEO Curt Finch experienced first-hand as a project manager. The company and solution have always been rooted in project time tracking, and continues to build tools that allow project managers to focus on delivering projects, on-time and on-budget. “We know how difficult it is to get employees to track time, and even more so if they don’t understand its importance,” said Finch. “Journyx has always been about creating solutions to not only increase profitability, but to also help make tracking time as easy as possible for everyone involved, at all levels and roles. Since 1996, Journyx has provided web-based solutions that take the time out of time and expense tracking, with tools that help you understand your costs and make smarter decisions. Our software minimizes the effort and error associated with entering, submitting, and processing timesheet data across the organization – streamlining your project accounting, payroll, and client billing processes and providing you with more accurate time data. Thousands of companies worldwide use Journyx to track and manage their time, expenses and resources for billing, payroll, project accounting, compliance and more. They have a clearer picture of where time is being spent, and are seeing a positive impact on their productivity and profitability. For more information, visit www.journyx.com.